Situated within Palm Cove Village, The Reef House Palm Cove, MGallery is a secluded hideaway less than half an hour from Cairns Airport. 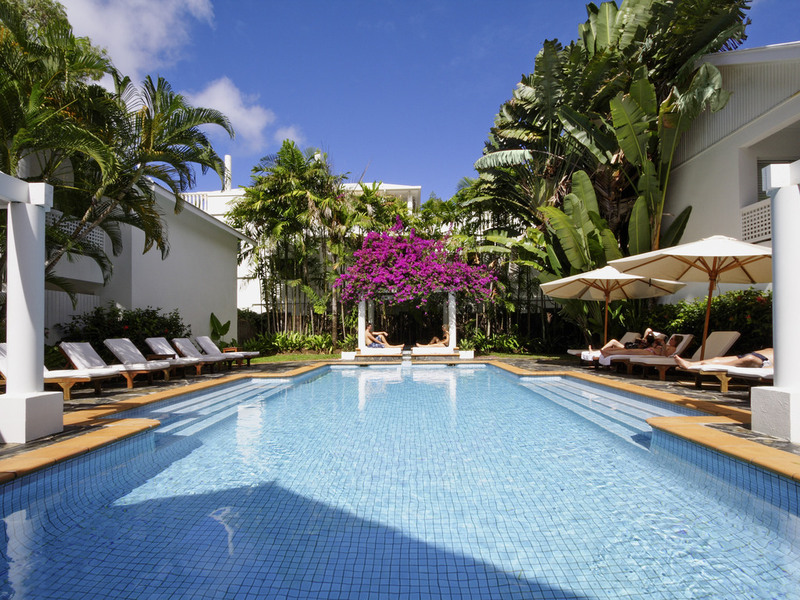 Guests staying at this spectacular Palm Cove hotel can easily while away the days relaxing in the resort and exploring the village, with its restaurants, shops, bars and cafés. Guests who want to get out and explore the area can discover the many attractions of Tropical North Queensland, including the Great Barrier Reef, the Atherton Tablelands & the Daintree Rainforest. Our stay was amazing. Everything was perfect apart from a rushed check in where we were told we weren’t yet expected (think we were confused with someone else) we were rushed through our welcome and told we couldn’t earn points for our stay. Again - not sure why!!! My wife and I stayed at the Reef House with friends for 5 nights. The friendly team, quality of food and drinks exceeded our expectations in all aspects. The accommodation was comfortable and suited the environment perfectly. We will definitely return to enjoy these facilities and to experience the wonderful culture that is displayed by all employees. The complimentary drinks each afternoon at the Brigadier's Bar provided a wonderful opportunity to meets other guests and share experiences. My Wife and I enjoyed a short break here last week. Beachfront room met our requirements and had a super view. Hotel is in a great location with everything you could want within walking distance. Staff were friendly and helpful. Drinks each evening was a nice touch and an opportunity to meet other guests. Restaurant is highly recommended. Ticks all the boxes and we will return. Really fantastic, there were only a few things otherwise it was perfect! A relaxing experience in a brilliant setting which would have received a 10 if the weather had been kinder! We were warmly welcomed and given a luxurious studio appt. The pool and garden setting is picture perfect. I’ve stayed at the reef house many times and i’ve never had a bad experience. The wonderful staff always look after me. Front desk check in was very easy. Easy going vibe from the view of the pool, early morning coffee from balcony to an excellent evening meal at the restaurant. We had a fantastic time at the Reef House.I really love the old World charm. Nothing was too much trouble for the kind and friendly staff. That’s why I am a return customer and will return once again. Absolutely loved our stay at the Reef House - M gallery by Sofitel. Was welcomed by very friendly welcoming staff members with bright smiles. The room was so beautiful, clean and roomy and the spa bath outside was a great treat to have. Food at the restaurant was fresh and yummy too!! My husband and I would say this have been one of the most memrobail hotel stays that we have had in Queensland in a very long time and we will be back to stay again in the near future. Warm Regards, Rebecca and Glen P.
Enjoyed immensely. Facilities were fabulous. Rooms were clean and comfortable, spacious and housekeeping was very efficient and unobtrusive. Breakfasts (continental) were included and delicious. Upgrade to full breakfast was also good value. Restaurant dinner was nicest we had in Palm Cove. Brigadiers Bar was a great service. Pool and facilities poolside were lovely and nightly canapés and punch were very enjoyable. very good rooms were clean comfortable furniture and bed room service was perfect, all our questions were managed very well by staff which also provided service and information above normal duties. special requests were also catered for with a smile and to our complete needs. overall, this is a lovely place. quite romantic. Sad to be too afraid to swim at the beach due to stinger season but not the fault of the hotel. We weren't willing to risk it being from US. There is a netted area but the signs were just too foreboding. Nice place to walk the esplanade. I didn't like the fact that at night, no one answers the phone at the front desk because no one is there. Also the ocean view rooms which were really huge with a living room, bedroom and huge bathroom were great except the old lovoured windows allow bugs to get in and again, a spider on the ceiling of my showere made me so afraid due to the many poisonous varieties. They do keep bug spray on hand. Due to the openings around the windows and the louvers on them- it was very hot in the bathroom. so blow drying one's hair in the heat- was not fun. We kept the bathroom closed at night which made it hotter but again, did want to risk creepy crawlies coming in the window. Hotel in great location. Top class service by all staff. We will be back again. Staff were great. Services were great. Facilities were great. Food was great.